I get asked a lot, "How should I care for my leather?" 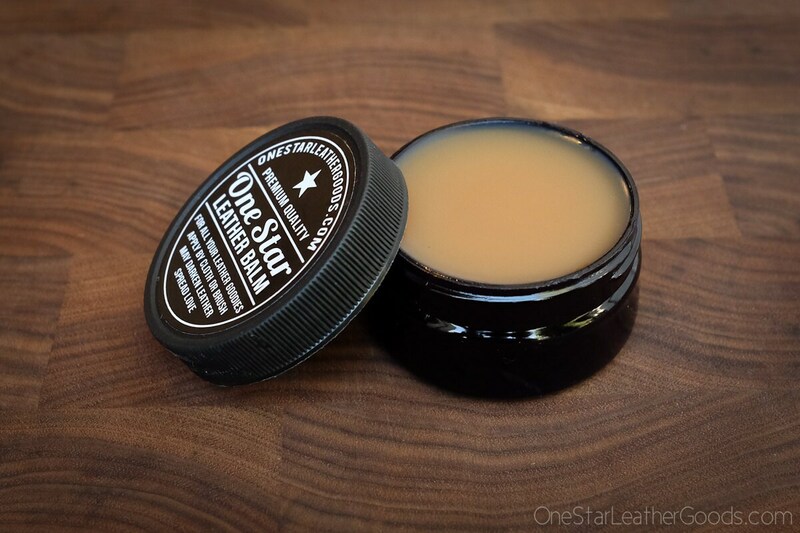 Besides not scuba diving in it, treating leather with a high quality oil or balm is the next thing on my list. With a waxy leather already impregnated with oils, such as Horween's Chromexcel, this is less important. But especially if you have bridle or natural veg tanned leather goods, treating it can do wonderful things towards making it beautiful and preserving it. Dried out leather will crack and deteriorate. 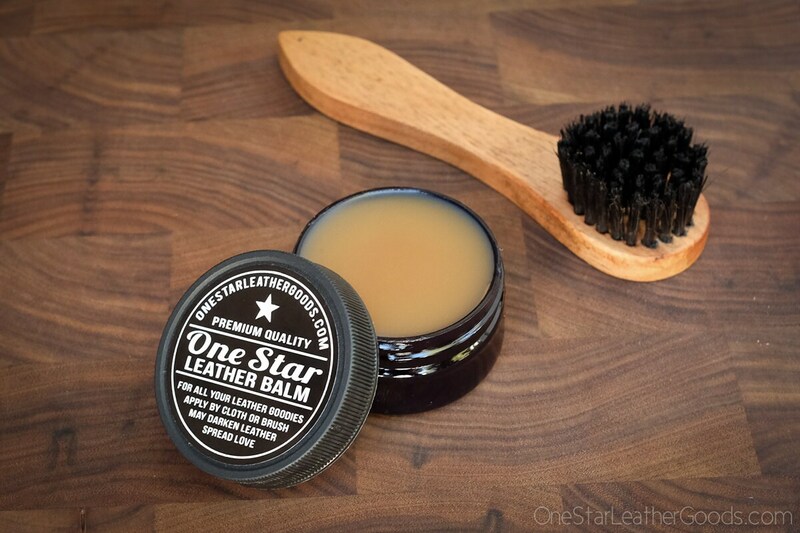 My leather balm will keep it soft, supple and healthy. Plus, it smells awesome. This formula was perfected over 30 years ago by a friend of mine who makes all-leather hiking boots and it remains the absolute best product I have found for my boots, wallets, belts--you name it. This listing is for a single 2 ounce jar. 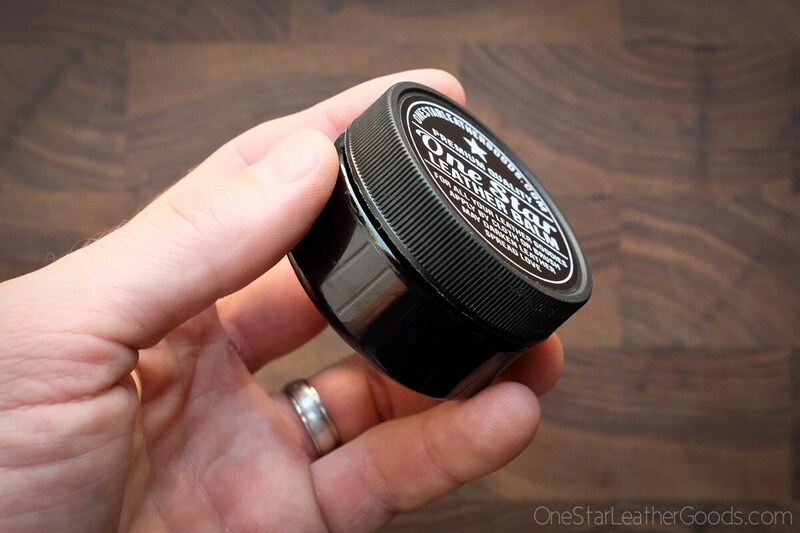 You should perform thin, sparing applications of the balm with a brush or soft cloth. Frequent thin coats are better than infrequent thick ones. A little goes a long way. 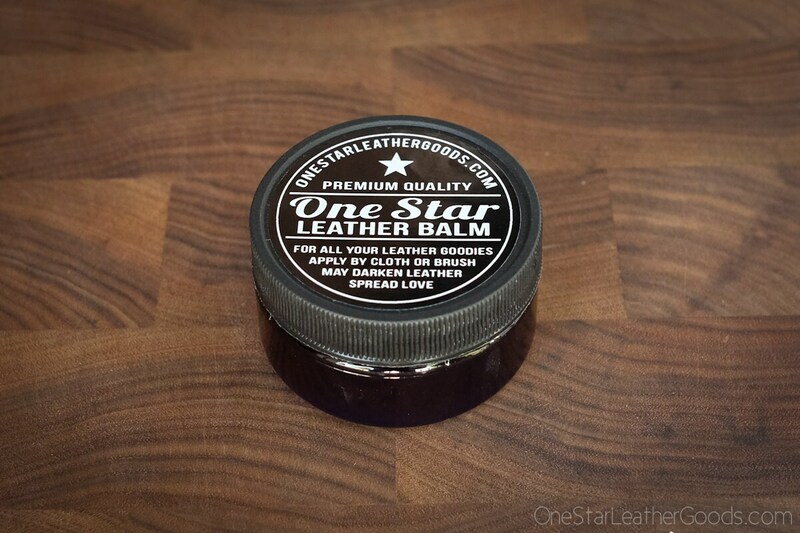 Unless your leather collection is really extensive, this jar should last you a while. Shipped fast, this is my second time ordering this fabulous product. This is the best stuff I've ever used on leather goods.